Anesthetists can earn as much as some doctors or dentists. 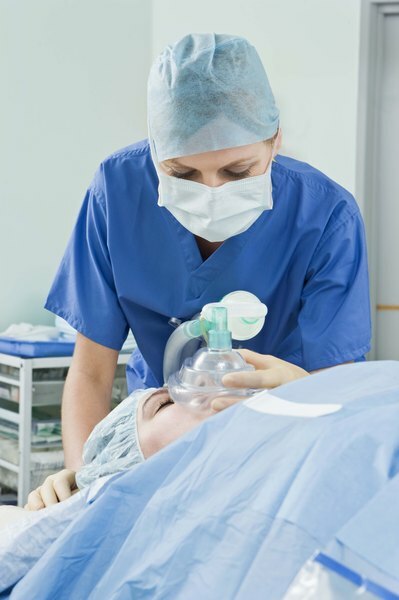 For nurses who want to practice at the very highest level, anesthesia is an attractive field. Nurses were the first anesthesia providers on the battlefields of the Civil War and continue to play a crucial role in modern health care. According to the American Association of Nurse Anesthetists, they provide anesthesia services for over 32 million procedures each year. 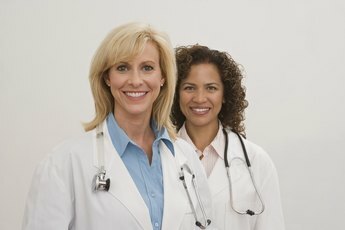 In many states they can work without a doctor's supervision. Certified registered nurse anesthetists, or CRNAs, are also among the highest-paid non-physicians in the health care system. 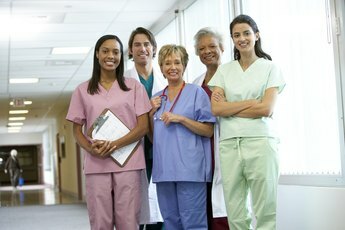 The U.S. Bureau of Labor Statistics reported an average salary of $154,390 for nurse anesthetists as of May 2012. The lowest-paid 25 percent of CRNAs earned up to $128,620 and the highest -paid 25 percent earned $176,060 or more. A 2012 salary survey by medical recruiting firm Locum Tenens reported a higher average salary of $167,607, while a 2011 survey by the Medical Group Management Association placed the figure placed the average lower at $151,539. The American Medical Group Association's 2012 salary survey cited a median income of $170,465 for CRNAs. In 2009, in a major survey of its members, the American Association of Nurse Anesthetists reported a median salary of $180,000. Averages make a useful benchmark, but your real-world income will depend pretty heavily on your workplace and where you live. For example, doctors' offices are the top employer in the BLS survey, paying an average salary of $149,660. Hospitals employ fewer anesthetists, but pay them an average salary of $163,220. Outpatient clinics offer similar salaries: an average $163,290. Your geographic location makes a pretty big difference as well. Wyoming had the country's highest-paid CRNAs at an average of $215,720 a year. In New Mexico, nurse anesthetists averaged just $121,010 a year. If you're thinking about relocating, remember that salary paints only part of the picture. It's important to consider benefits and living costs as well. CRNAs are consistently among the highest-paid of all nurses. In comparison, the AMGA survey reports median salaries of $103,373 for nurse-midwives and $96,372 for nurse practitioners. For registered nurses as a group, the BLS reports a median salary of $65,470. If you're considering a career as a nurse anesthetist, the comparison with other practitioners is even more thought-provoking. In the AMGA survey anesthetists out-earned dentists, who had a median income of $169,747. 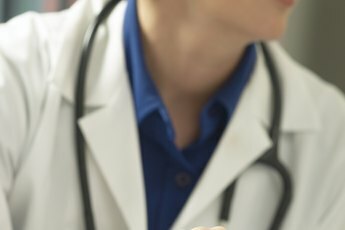 Modern Healthcare magazine's 2012 review of physician salary surveys shows that salaries for many primary-care physicians, including family doctors and internists, fall in the same range. Becoming an anesthetist takes a heavy investment in time and effort. 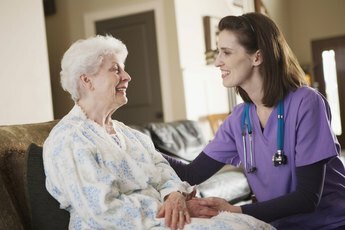 First you need to earn your bachelor's degree in nursing, which usually takes four years of full-time study. Then you have to pass the National Council Licensure Examination for Registered Nurses, or NCLEX-RN, and get your state nursing license. You need to spend at least one year practicing as an acute-care nurse, then go back to school for a master's or doctoral degree from an accredited nurse anesthesia program. Finally, you have to pass a certification exam administered by the National Board of Certification & Recertification for Nurse Anesthetists.